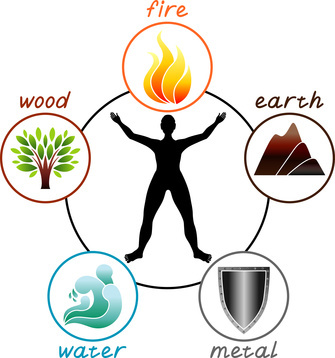 Ideally, all five elements should be in balance. However, when the movement of one of the elements is “stuck”, this element is considered out of balance and health issues occur (i.e., digestive or upper respiratory issues). It’s a signal that change is needed. Acupuncture treatments foster the appropriate movement of Qi and heighten your awareness of the unique signals within your body. There are often one or two elements that stand out as your dominant constitution and, with treatment, you’ll notice a positive effect on your overall wellness. Before treatment begins, we assess your condition by evaluating sense organs, tissue, color, emotion, and taste. This enables us to determine the particular element you represent and then develop a treatment plan just for you. Five Element Acupuncture deals with the underlying causes of symptoms and disease and the goal is to prevent future recurrence. It deals with your condition by restoring the overall balance of energy and is beneficial for anyone, particularly those suffering from digestive problems, sleep issues, anxiety, and emotional imbalances. Brad Hill Wellness blends two methods of acupuncture, Five Element Acupuncture, as well as the Meridian Balance Method, to treat the unique needs of each patient. This fusion of methods treats both the root of disharmony and symptoms simultaneously. For more information about how we can help you in your journey to wellness, call us at 301-639-9759 to schedule an appointment. This entry was posted in Acupuncture, Featured News, Treatments and tagged digestion, five element, meridian Balance, sleep. Bookmark the permalink.